New Satellite Office Open in Apex! 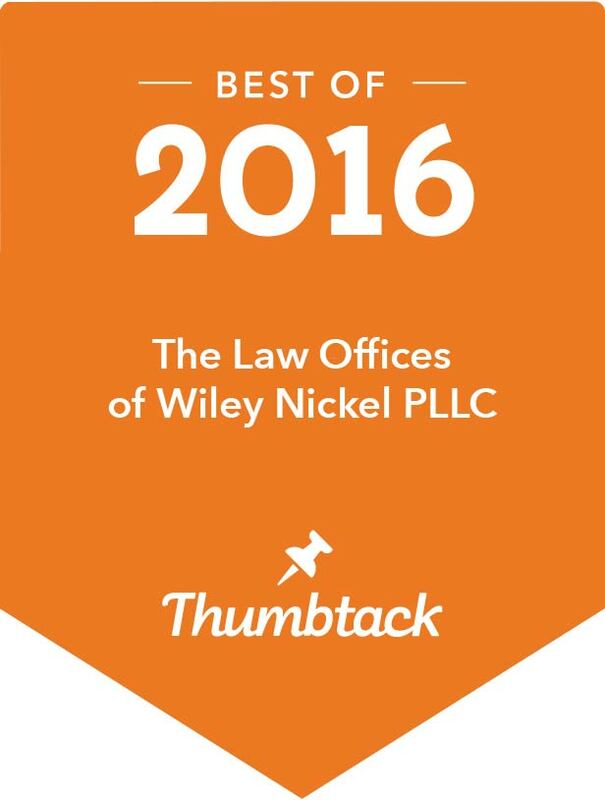 The Law Offices of Wiley Nickel, PLLC is proud to announce the opening of our first Satellite office. The new office is located in Apex, North Carolina at 510 West Williams Street, Suite 101. We will be able to take meetings by appointment at this new office location in Apex. The expansion is part of an effort to better serve clients in Western Wake County and Chatham County, North Carolina. At The Law Offices of Wiley Nickel, PLLC, we believe that successfully addressing client needs requires more than just knowledge of the law and a mastery of the multitude of rules and regulations that impact our clients’ needs. Providing quality legal services means being in our client’s community and being able to meet our clients where they live. Our commitment to excellence, combined with our mission to deliver outstanding client service, has earned our firm the excellent reputation it enjoys today. The Law Offices of Wiley Nickel, PLLC is proud to have a great reputation and a tradition of aggressive representation of our client’s needs. We provide quality legal representation and are dedicated to maintaining and expanding our capabilities and expertise across a wide range of practice areas in order to better address the diverse needs of our clients. Our principal areas of practice include: Criminal Defense, DWI Defense, Speeding Tickets, Expungements, Juvenile Delinquency, DMV Issues, Child Custody and Divorce. We are also experienced in a number of specialty areas that are incorporated into these core criminal defense based practice groups. If you are charged with a criminal offense and live in the Apex, NC area you can contact us at our new Apex location or our Cary location for a free consultation.